It is an unmissable highpoint of any winter holiday in Obergurgl-Hochgurgl. The architectural masterpiece is enthroned at 3,080m altitude on the Wurmkogel’s narrow ridge. 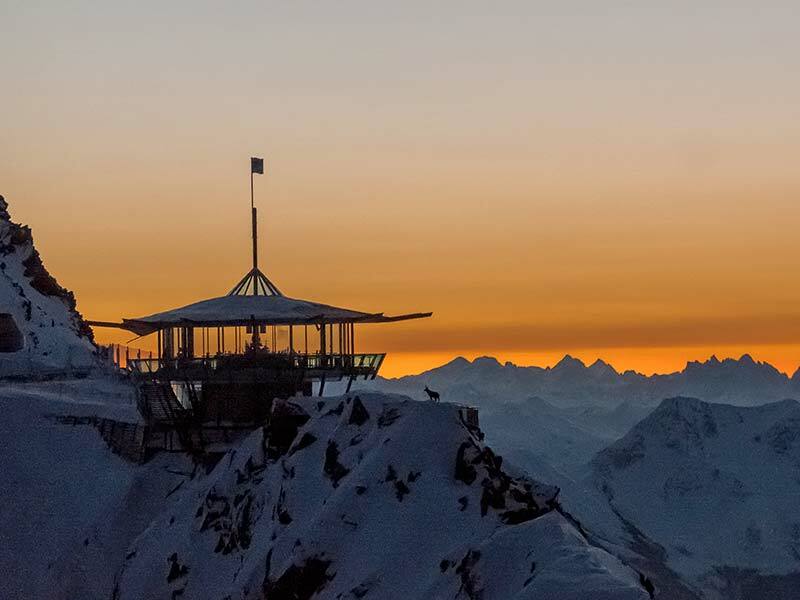 An extraordinary combination of mountain restaurant and summit bar, it’s ideal for a brief respite from skiing during which you can enjoy culinary delights as well as phenomenal views of the Ötztal Alps as far as the Dolomites. A continuous glass front allows 360° panoramic views, and a clever handrail features the names of all the surrounding peaks as well as the distances to many cities. Thousands of Swarovski crystals glitter on the designer ‘star bar’. 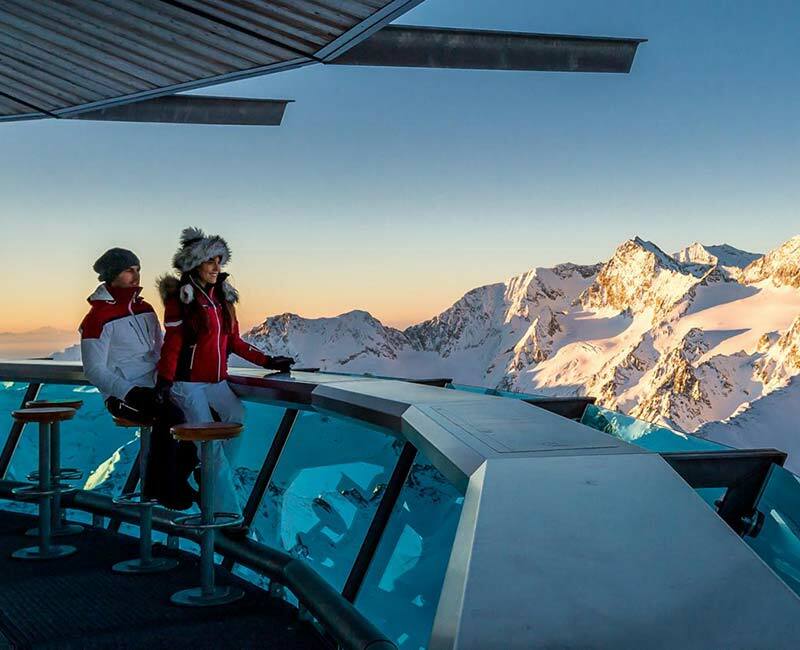 In short, the TOP Mountain Star in the Hochgurgl ski resort is a gourmet’s dream. The TOP Mountain Star is also available for hire – the perfect space for your very own summit party!